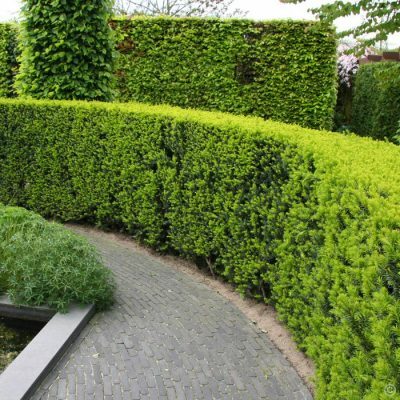 Hedges are an important part of any garden, from wind breaks, to dense boundary hedges, to the screening of unsightly areas like the compost heaps and shed, to dividing the garden into’rooms’, to the back drop of a border or to an ornamental hedge in it’s own right. 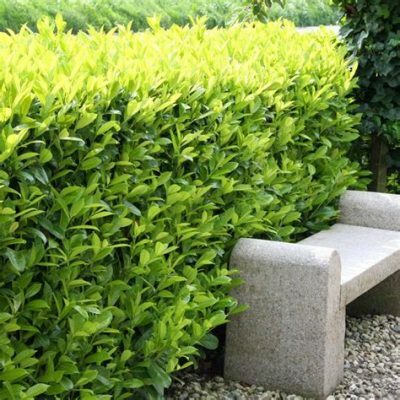 A good hedge is a asset in any garden. The evergreen hedge has the added bonus of all year round beauty. There are many to choose from, here are a few favourites. Taxus baccata: English Yew, a traditional formal hedge, of up to nearly any height, small dark green needles as leaves, with small red cup fruits (which are poisonous to humans, as are the leaves to cattle and horses) makes a good dense hedge. 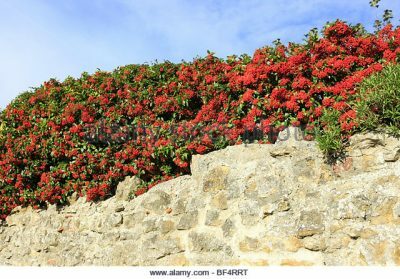 It will grow on shallow chalk to acid clay and although considered slow, it is faster then you think, and can make a good hedge with in 5 to 7 years particularly if planted as a double staggered row. Sun or part shade. Cut once a year, August. Prunus laurocerasus: ‘ Laural’, A good large formal hedge, large glossy emerald green leaves, followed by red/black cheery like fruit (which are poisonous to humans). 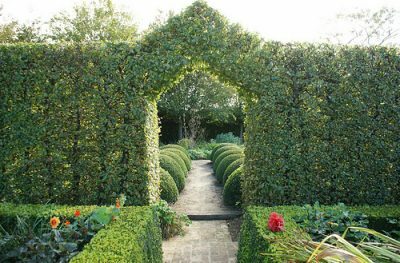 A quick growing hedge, which forms a dense structure. Will grow in all moist soils and sun or part shade. Cut mid to late summer. 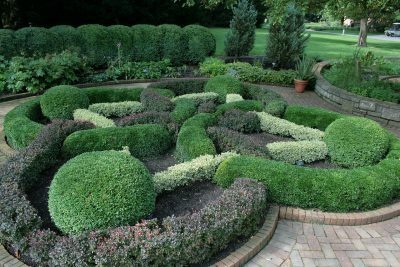 Either with shears or a hedge trimmer, if you are worried about the look of cut leaves then you may want to tidy the cut up a bit by using secretors. Elaeagnus x ebbingei ‘Coastal Gold’: A good medium to large formal hedge for growing in coastal areas, as it copes well with the wind and salt. 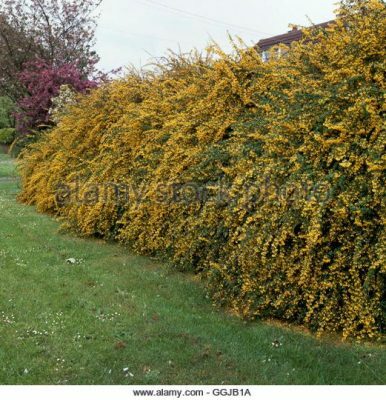 Mid green leaves, with a sliver underside and a large splash of golden yellow in the middle of the leaf, gives this hedge a wow factor and can brighten up even the darkest of winter days. Fast growing on most damp soils sun to part shade. Cut Late spring to August. Cotonester frigidus ‘Cornubia’: This makes a wonder free-flowing/informal medium to large hedge. With dark green leaves, sliver underside, the new leaves are held upright on the arching branches like ‘candles’ in the early spring. Followed by clusters of white flowers May- June. However possibly the best bit is the freely born great clusters of red berries that hold on into early winter. Grow on any moist soil. Sun or part shade. Prune carefully only shortening some of the longer branches, with hand tools in December/January. Hebe ‘Red Edge’: This makes a neat low dense hedge, in curving mounds. 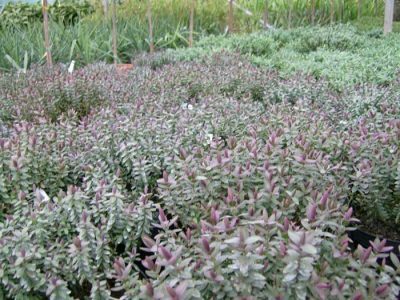 Tiny grey leaves with thin red/purple edges which colour more in the cold winter, occasional small white flowers in mid to late summer. Draining soil, with some moister, humus rich. Full sun. It can be tender so do not prune hard or late in the season. Trim, mid summer. 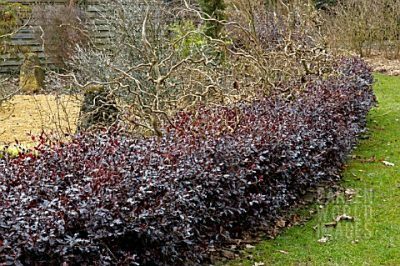 Pittosporum tenuifolium ‘Tom Thumb’: A superb low hedge, with dense burgundy purple foliage. The new grow is a striking lime green before becoming purple. Grows in sun or part shade, a good draining soil, which is humus rich. It can be tender so do not prune hard or late in the season. Trim mid summer. 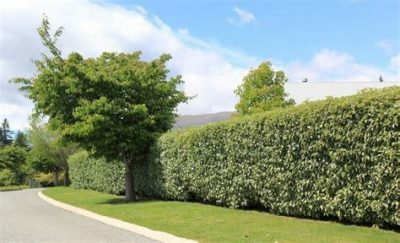 Now is a good time of year to plant an evergreen hedge, as long as the ground is not waterlogged or frozen solid, it will give it a chance to settle in before the start of the growing season. Plant either as container grown or normally a cheaper option as root ball stock. 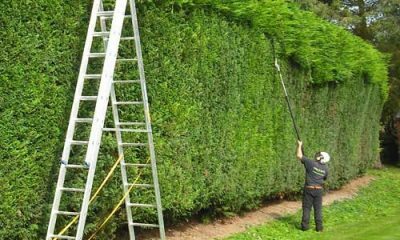 Hedge cutting: Think about the time of year you are going to cut your hedge not just for the look of your hedge or what suits you, but more importantly think of the birds. A hedge is a great bird habitat from roosting, to feeding and of course nest building. So all hedge cutting should be out of the way by the second week in January and not starting again until late June or early July. If in doubt, have a look at your hedge with out disturbing the occupants and see that all nests are empty and chicks have fledged before you start the hedge cutter. So I hope I have inspired you to get out there and plan where your new hedge is going and to get planting. 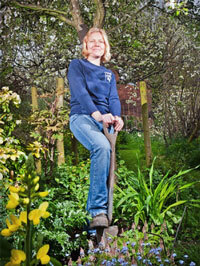 For all aspects of planting design I am happy to help, just give me a ring. 01273 470753. 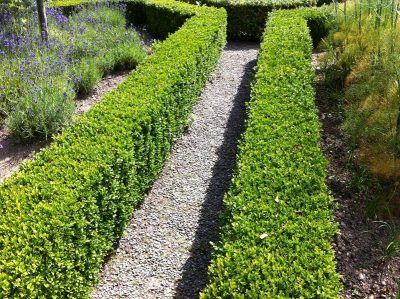 This entry was posted in Gardening News, Gardening Thoughts and tagged Evergreen Hedges on February 28, 2018 by Emily.